Annalisa and Samanta have been such an extraordinary wedding planners, they were always there for us, they understood exactly how we wanted our wedding to be. We are so happy of how everything went, we couldn't ask for better people to help us in such an important day! Annalisa and Samanta are more than just wedding planners, during this journey of emails, phone calls and meeting they became friends. They help us not only during the preparation and on the wedding day, but also they gently assisted us during our honeymoon to make sure everything was fine. We would highly recommend WP Bellagio to everyone as we felt treated as 5 stars clients and we had the best day of our life! Thank you so much Annalisa and Samanta, you are in our hearts forever! Annalisa and Samanta helped us to plan our wedding in Varenna, Lake Como and we cannot recommend them highly enough. From our first enquiry they were more than helpful, especially considering that we speak very little Italian. We always had speedy responses to emails, and they were even available to meet us when we visited on holiday a few months before the wedding. They were completely flexible with which aspects of the wedding we wanted assistance with. We wanted a religious ceremony that was also legally valid and they were able to find a chapel and priest who could perform this. On the wedding day itself Samanta was with us to ensure everything went perfectly. Our day was exactly how we imagined it and we cannot thank them enough! Annalisa and Samanta were absolutely amazing, and we really couldn’t have had our perfect wedding in Bellagio, if it wasn’t for them. From the moment we contacted them, they were always so professional and helpful. 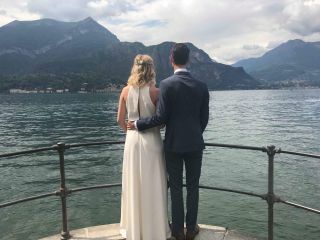 They always responded to emails very promptly, and helped us to book our wedding venue and drinks reception, find beautiful flowers, and arrange a fantastic boat trip on Lake Como for photos after the ceremony. Nothing was too much trouble, and they were happy to work within our budget too - which was great. Also, after months of emailing, we finally met in Bellagio a couple of days before our wedding - and what lovely people! They really helped to reassure us that everything would be perfect (which it was! ), and to settle our pre-wedding nerves. Annalisa and Samanta - thank you so much. We really could not recommend them any more highly! Samanta and Annalisa have been absolutely amazing in helping us plan our wedding. They have steered us in the right direction every time and were able to identify the best suppliers. Attention was given to the finest detail and they were always available to listen to our ideas and respond immediately. 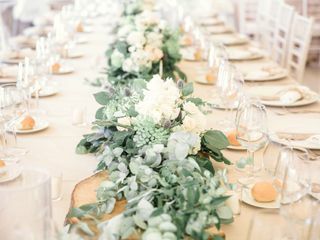 They have also done an amazing job coordinating on the wedding day, which allowed us and our closest family to not worry about the planning and focus on enjoying the day. Thank you for helping us plan our fairy tale wedding, we will always be grateful!! Annalisa and Samanta at WP Bellagio helped us plan our wedding in Bellagio/Lierna at Lake Como in May 2018. We started all planning in September and since we are not from Italy we sorted everything out through emails and check lists. They are well organised and very helpful not speaking of the amazing help we got on our wedding day when they made everything work according to plan. We did not have to think about anything other than enjoying our big day. 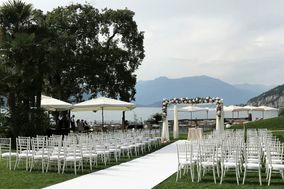 We can really recommend WP Bellagio if you live outside Italy but want to have your wedding there. Thank you again Annalisa and Samanta! Annalisa and Samanta organised the wedding of our dreams! They were fantastic throughout the whole process - very responsive to all our requests. They have a professional and energetic approach which made planning the wedding with them easy and fun. They make a great team and were a pleasure to work with - we highly recommend them! Samanta and Annalisa are truly the best wedding planners you could ever come across... they are a dream come true. From the first day we met, they worked with us, listened to us, proposed the most amazing ideas ever... Planning the wedding with them was the best experience ever and when our wedding day finally came, it was ever better than we could imagine. They accompanied us throughout this adventure, step by step, making sure even the finest detail was defined and the result was absolutely astonishing. Put yourselves in the hands of Samanta and Annalisa and you shall not be disappointed! Well done ladies! You are the best wedding team ever! If before getting married I didn't know exactly what was the role of a wedding planner... well, now I could never imagine my wedding without Samanta!! Together with Annalisa, she is an amazing person and professional. Efficient, precise, super reliable, genuinely involved... I also loved her presence during the reception. I was kind of agitated but I knew she would take care of everything and she helped relax and enjoy this magic day :-). Definitely recommended!